Nearly 10,000 employees at Körber locations all over the globe work every day to develop innovative cutting-edge technologies for our customers. 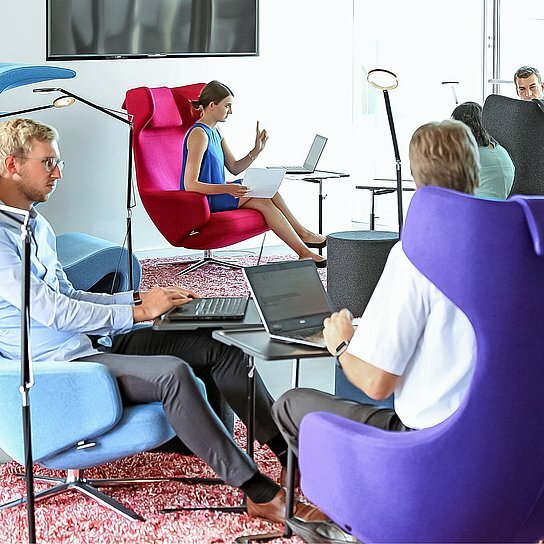 The know-how, creativity, and dedication of our employees have made us one of the most successful technology groups in Germany and worldwide. That’s why we set great store by our programs for supporting our employees and promoting their development. In our Business Areas of Körber Digital, Logistics Systems, Pharma Systems, Tissue and Tobacco, we offer you comprehensive opportunities to grow in terms of your know-how, methods, and personal development. At Körber, it’s normal for our employees to work in international teams and have careers that cross national boundaries. Our Business Areas are present in all important markets worldwide. Körber AG, as the holding company of the Group has its headquarters in Hamburg. The office atmosphere at connyun (Körber Business Area Digital): Enjoying technology and innovation. 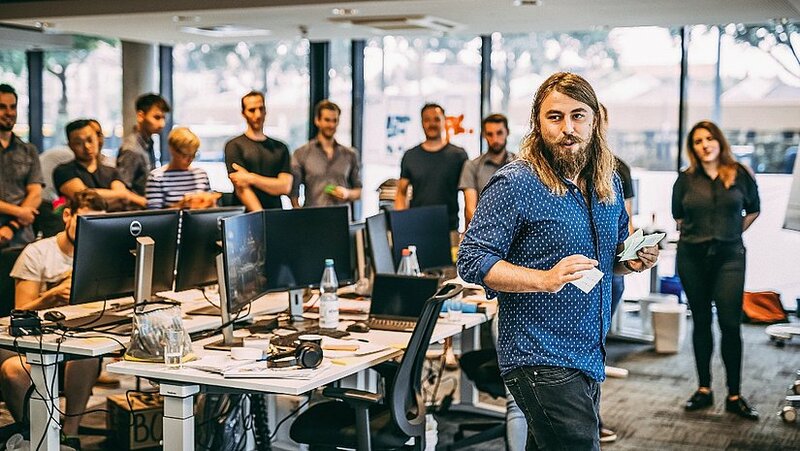 For hotshots: One of the most successful technology companies in Germany and worldwide. Whether you’re an experienced expert or a young professional, we offer you numerous opportunities to shape your career at the Körber Group. Our key areas of emphasis are mechanical engineering, engineering management, electrical technology, economics, and IT — but applicants from other disciplines are also very welcome. At Körber, you’ll receive competitive remuneration as well as interesting and varied assignments that include project work. We expect our employees to demonstrate energy, flexibility, and the ability to boldly tackle challenges. They are supported by company-specific advanced training programs. The companies in the Körber Group offer students in every phase of their studies outstanding opportunities to acquire practical experience. As a result, we get in touch with committed students early on, and we can offer them a broad range of insights into the work we do. In addition to internships and work-study programs, we’re also happy to support practice-related degree theses. We offer high school graduates in German-speaking regions vocational training in approximately 20 professions and in eight cooperative study programs. At our international locations, we design our training programs according to the respective regional conditions. Our trainees initially get to know various parts of the company so that they can subsequently choose an area of specialization. We set great store by personal development, and we promote the ability to work independently. Some of our companies offer cooperative study programs. As a rule, this comprises the coursework for a bachelor’s degree plus phases of practical work within the company. Students and trainees are offered the opportunity to do internships at our international sites as well. In addition, we support talented young people with scholarships for further phases of their training. Starting a career at Körber: Ideal opportunities for professional and personal development. Can I apply for several different jobs simultaneously? You are free to apply for more than one job at the Körber Group. Once you have created a job application account in the course of your application, you can apply for further jobs at any time. Please make sure that if you apply for more than one job your applications do not seem random or non-binding. What’s the maximum size of a single job application file? You can upload a single file with a maximum size of 5 MB. Whom can I call if I have questions about a certain job? You can find the name of the contact person for each position in the job advertisement. The contact persons will be glad to answer your specific questions about the job itself, the company, or the status of your application. It will take you only a few minutes to post your application on our career portal. For that we need to have you fill out our form with your contact information. In the second step, you upload your letter of application / motivation, curriculum vitae, and references. Right after you’ve done that, you will receive a confirmation of receipt. In the following days, we will review your application and get in touch with you. We handle your personal data confidentially, in compliance with the General Data Protection Regulation (GDPR). You can find additional information at: Privacy. I haven’t found any job advertisements that fit my qualifications. Can I send in an unsolicited application? Our recruitment team is always looking for suitable candidates to fill job vacancies. Feel free to get in touch with us. We look forward to talking with you about your career options. Some companies in the Körber Group also offer the option of submitting an unsolicited application on the online job application platform. You can find a list of these companies here. Can I also apply via e-mail or post? We prefer to receive job applications via our online form. That way we ensure that your personal information is protected, while receiving from you all the information we need for our selection process. I’m interested in working abroad. How can I find out where Körber operates and what job openings are available? Our job market offers a worldwide overview of all the job openings at the Körber Group. You can use the search function to select the countries or locations you’re interested in. Start into the future with Körber now! Our trainee programs offer insights into fascinating technologies and high levels of responsibility in international assignments. The employees at Körber IT Solutions GmbH have many opportunities to contribute their ideas.